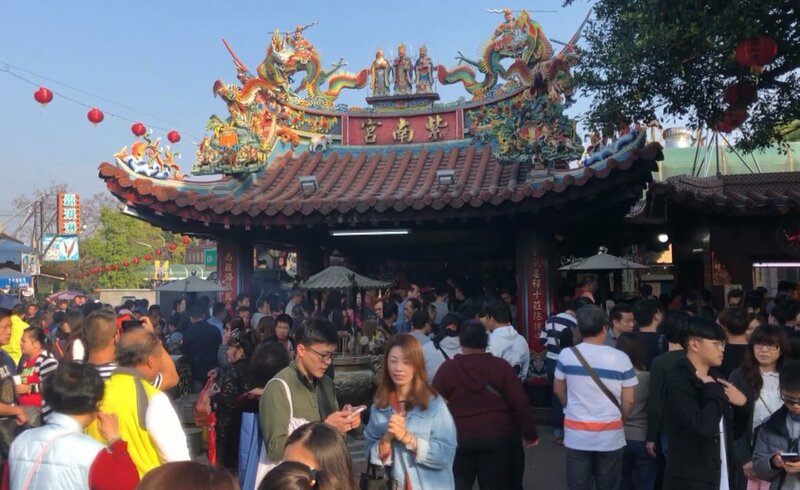 Thousands flock to Zi Nan Temple to pray for wealth in Lunar New Year. Praying for good fortune is a big part of the Lunar New Year celebrations. One temple in central Taiwan has seen thousands of incoming pilgrims every day over the holidays, which concluded on Sunday. Believers from all walks of life fill the Zi Nan Temple. They are here to pray to the God of Wealth for a better financial future. This man says they had to force their way in. And that’s not a surprise, considering that about 15,000 people visited the temple every day since the New Year began on February 5. The ritual involves people borrowing a small amount of lucky money from temples and returning several times that amount once they’re financially “blessed”. A temple official says that in the last five days people have borrowed over NT$20 million (US$650,000). They’ve brought back about a third more: NT$30 million (US$1 million) in payback. The God of Wealth isn’t only a popular figure in temples… you can see him in other places, too, like delivering drinks in Yunlin, western Taiwan. A drink shop came up with the idea knowing that people would love it if the God of Wealth came knocking at their door. It’s hard to say whether it will bring fortune to customers, but it’s certainly been a boon for the shop.